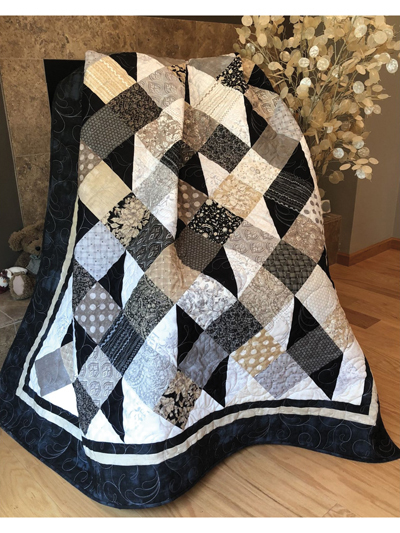 A great scrappy and easy quilt. 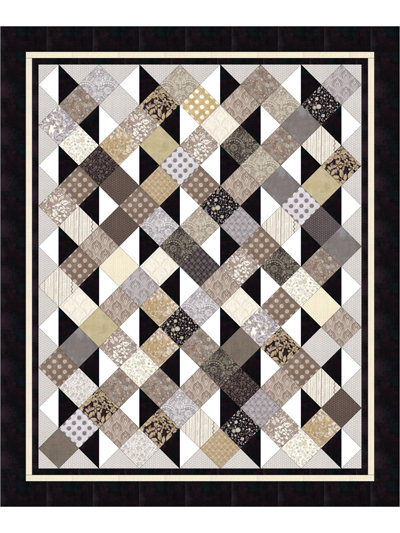 The only block you have to put together is the half-square-triangle block. Once those are made, it's just a matter of laying out the pieces. 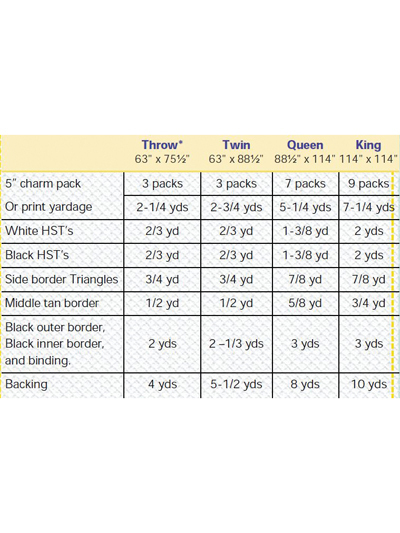 Finished sizes: Throw 63" x 75 1/2"; Twin 63" x 88 1/2"; Queen 88 1/2" x 114" King 114" x 114". Stonehenge Gradations Oxidized Copper Charm Pack - 42/Pkg. Temporarily Out of Stock - Expected in stock May 3, 2019. Stonehenge Gradations Slate Charm Pack - 42/Pkg.